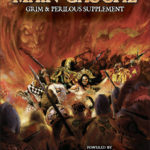 MAIN GAUCHE, a chaos supplement Powered by #ZweihanderRPG, now available at DriveThruRPG! 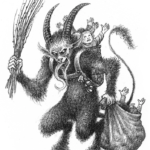 Download our Krampus holiday creature for #ZweihanderRPG now at DriveThruRPG! AMA with Zweihander RPG tonight, Dec 16th at 9pm central on Twitch! 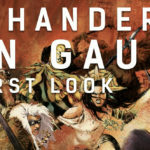 Tonight – December 16th at 9pm central – creator Daniel D. Fox will be on Jowzam’s Den to talk about #ZweihanderRPG, Main Gauche, the new publisher relationship and our 2019 product line. It’s gunna’ be muy caliente! 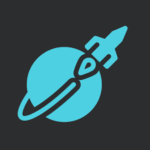 Have any burning questions? Tune in tonight on Twitch at 9pm central to ask! Click here to tune in! Be sure to don your Witchhunter’s #StatHat and let others in the chat you’re wearing it!